looks like another LOST SEASON! George Winn is everywhere on special teams today, as ushe. Matthew Stafford through 2 series: 6-6, 119 yards, 2 TD, passer rating is the NFL maximum -- 158.3. 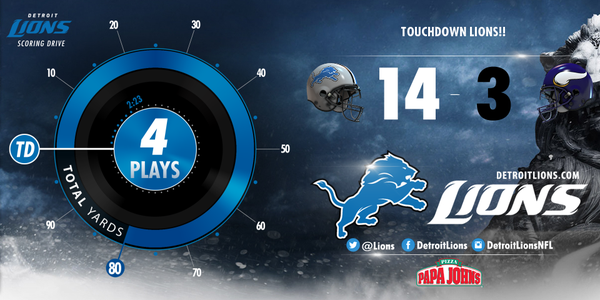 The #Lions are averaging 14.5 yards per play so far today. Matthew Stafford through two drives: 6-for-6, 119 yards and 2 TDs. Why does Peterson stop so much? Stefon Diggs catches and runs for a 30-yard gain, and the Vikings are already in Detroit territory.
.@stefon_diggs with his 7th catch of 20+ yards in the last 3 games. Haloti Ngata, among others, sacks Bridgewater on third down. Long FG coming. That was Haloti Ngata's first sack with the Lions. 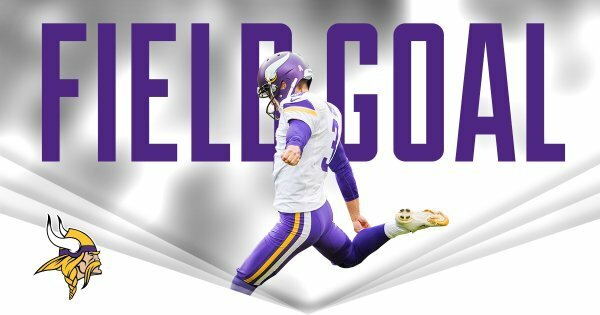 Blair Walsh hits a 53-yard FG. 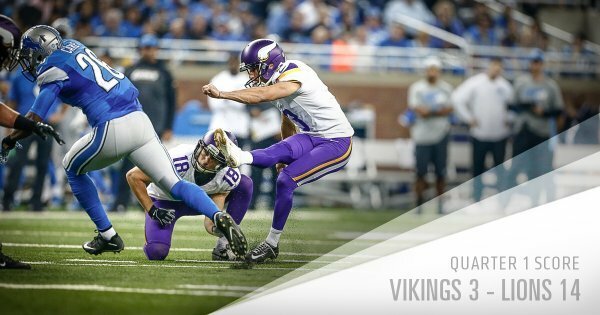 Vikings cut Lions' lead to 14-6 with 11:11 left in the second quarter.
.@BlairWalsh3 hits his first 50+ yard FG of the season.
.@BlairWalsh3 kicks his 18th career FG from 50+ yards. 11-of-13 on the season. 14-6 #Lions lead with 11:11 left in the 2nd quarter. Xavier Rhodes getting too handsy with Calvin Johnson, and the Lions are already in Minnesota territory. One of the first times Rhodes plays up at the line on Johnson, and he gets flagged. Stafford sacks on a play where the Lions have six offensive linemen.
.@chadgreenway52 's 17th career sack forces a 3rd and 16. Everson Griffen is down for the Vikings. Griffen walks off under his own power. 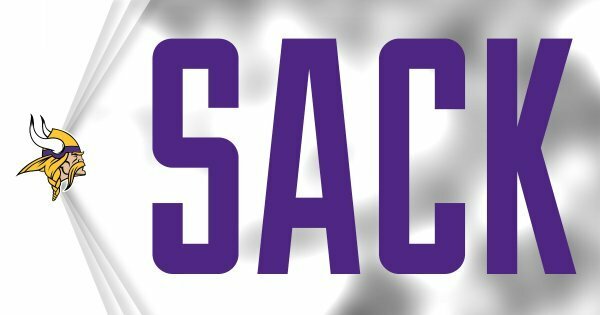 That'd be a huge loss for the Vikings.
.@chadgreenway52 now ranks 3rd in team history for sacks by a linebacker with 17.0 (Matt Blair, 23.0; Ed McDaniel, 20.5). Lions CB Josh Wilson is on the field watching the game. Presumably a good sign of where he's at in the concussion protocol.
.@MrInkredibleXII 's first catch of the day picks up a #Vikings 1st down! Bridgewater and Peterson fumble an exchange, and the Lions recover at the MN 42. Botched handoff between Bridgewater-Peterson gives #Lions ball at #Vikings ' 42.